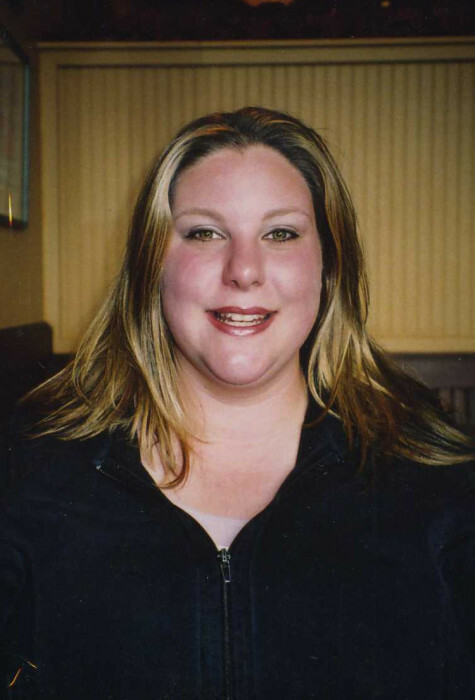 Treasa R. Lucas was the second child of Iven and Glenda Lucas, born on May 19th, 1981, in Eugene Oregon. She spend most of her childhood in Harrisburg, OR, with her parents and her three siblings. Her family remembers her as a happy, strong individual, who was very protective of those around her, a trait that did not fade as she got older. She cared for the needs of those around her with compassion and tenderness, and was always willing to lend a helping hand if she saw that it was needed. She was a dedicated student and saxophone player, and also regularly sang with her family at the local church. She moved with her family to Redmond, Oregon, in 1993, where they lived for four years. For her senior year of high school, Treasa was able to go to Japan and spend a year as a foreign exchange student, an experience she enjoyed sharing with those around her for the rest of her life. After graduating, Treasa returned to her family, who had moved to California, and after settling down she began to pursue her education at Mortuary school, following in the footsteps of her Mother. Upon graduating, Treasa began her apprenticeship at Mehl's Colonial Chapel, where she spent the rest of her career. She was an invaluable employee, the go-to person for the entire staff. Her compassionate nature and innate talent for reading people put the families she served at ease as she listened and guided them through the steps they needed to take. Many people, through word of mouth, would come in and ask specifically to speak to her. Treasa continued to love music throughout her life, leading her family as they sang hymns together and occasionally interpreting the music into sign language for her church. Her other hobbies including cooking, reading, and raising dogs. She was passionate about everything she did, and it showed in the excitement with which she spoke about it. Treasa's greatest loves came in the form of two sons. Her last 10 years were dedicated to their upbringing and support, and showing them all of the love that she had in her heart. Everything she did was for her children, and she was thrilled to become a mother. Each evening spent sitting together watching old movies and television shows was an evening she treasured, and phone calls made to family would be filled with their adventures together, whether it was playing in the backyard with the dogs, going to the beach, or visiting a monster truck rally. Everything else in her life came second to the needs of her children, and she was an amazing mother. Treasa was a dedicated daughter, sister, mother, aunt, and friend. She was always willing to laugh or cry with those she cared about, and would never hesitate should she come across anyone in need. To know her was to love her, and she returned that love in equal measure. She is survived by her Mother and Father, three siblings, and two sons. Memorial services will be held Saturday, October 27, 2018, at 1:00 p.m. at Mehl’s Colonial Chapel.